Coastal drives, beautiful vineyards and delectable cuisine – who wouldn’t love a drive through southern France in the European summer? So one day during our time in Europe, my friend Josh and I decided to take a bromantic road trip from Toulouse to Nice, in what we thought would be a pretty cruisy 500km drive. Things started off well: we got upgraded to a swish little Audi and had lunch at the aptly named Meet the Meat steakhouse, before setting out for the beautiful coastal town of Montpellier. From there, we journeyed to the famous Mont Ventoux. At almost 2000m, it is the highest mountain in the region, and is notorious for its high winds (up to 320km/h at the summit) and as a dangerous ascent in the Tour de France. After what seemed like hours we finally reached the top, and were rewarded with stunning views over the French Alps. Next, Josh and I are 700m up, driving along the twisty and inviting roads leading to the Verdon Gorge. We’re driving fast (OK, we’re speeding) in our Audi hatchback, we’re stuffed from a heavy French lunch, and our backdrop is a spectacular river canyon named for its turquoise green waters. We decide to pull over for some happy snaps. After a 15-minute stop, we return to the car. I sit in the driver’s seat. Something’s wrong. Where’s my passport? Where’s my wallet? Suddenly I’m panicking that I’ve become one of those travellers with a lost passport. We start frantically searching. Under the seats. Outside the car. Under the car (!). On top of the car? We’re frantic… we’re swearing… we know what’s happened here: Someone has stolen our passports and wallets. 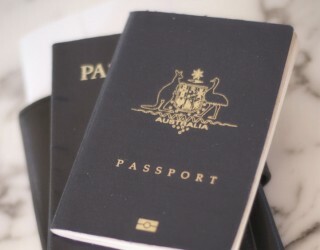 With really no idea what to do about a lost passport, we called the Australian Embassy. Embassy Man: You’ll have to come into the embassy in Paris. Thankfully, Josh had a small amount of cash in his pocket, so we returned the car and jumped on the first train back (on Thursday) and head straight to the Embassy. We explain our situation, and the friendly embassy man orders us two emergency passports. Pretty easy, right? Wrong. Embassy Man: That will be 300 euros. Me: We had our money stolen. Embassy Man: Here’s a phone (read: call someone who cares). So off we went, calling up friends to see who could spot us the money and send over their credit card details (the time difference didn’t help). Aussie friend: What time is it? Aussie friend: Is this a scam? 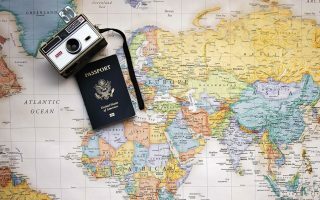 How long does a lost passport take to process? 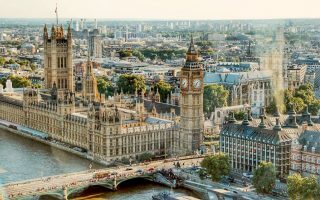 So here’s an interesting note – emergency passports take two working days to process. Since we arrived in Paris on the Thursday, that meant our passports would arrive Monday – making it four days before we could continue our trip. Without any money or ID, we needed someone to book us accommodation, since you can’t sleep at the embassy. Me: Can you please book us accommodation for tonight until Monday? Always carry emergency cash, and store this cash in a few separate places – some in your wallet, some in your daypack, and some in your luggage. Carry colour photocopies of your passport, and store them in the places mentioned above. Pick an emergency contact from home, either a close friend or family member, who will be responsive in an emergency and can send you emergency cash. Have a list of contact details on paper for your embassy, credit card company, in case you cannot use or access your smartphone. MasterCard and Visa will take up to two days to mail you out a replacement credit card, with a small credit limit attached to it, but you’ll need an address. Carry spare chargers and/or USB cables, or a battery bank at all times. The Australian Embassy is a five-minute walk from the Eiffel Tower. 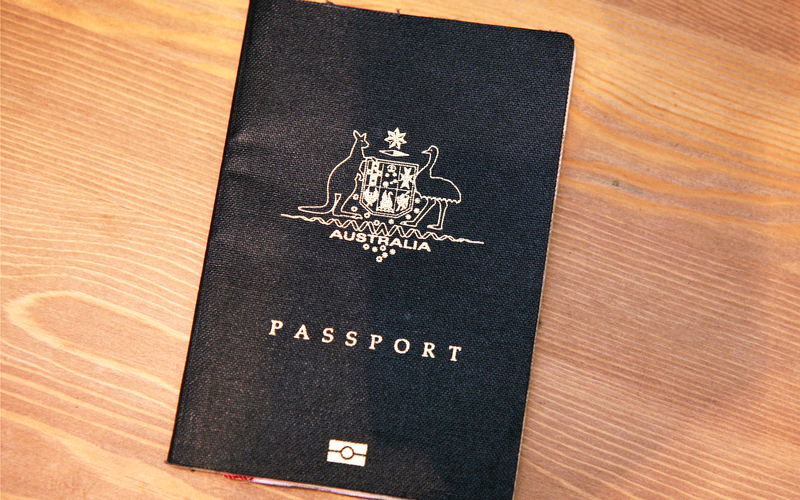 While you’re here, check out how Aussie passports might be phased out by next year.